Residential rental property income is completely different from the income you earn at work. You calculate your residential rental property's expenses using a much different basis than you use to determine your tax deductions for your personal residence. These two factors combine to make residential rental property an excellent investment from a tax perspective. The Internal Revenue Service requires you to report your rental property activities on the Schedule E form. That's where you detail all of the income you collect and all of the expenses you incur on each rental property. After calculating your profit or loss for each property, you then combine all of your rental activities into a final overall profit or loss. 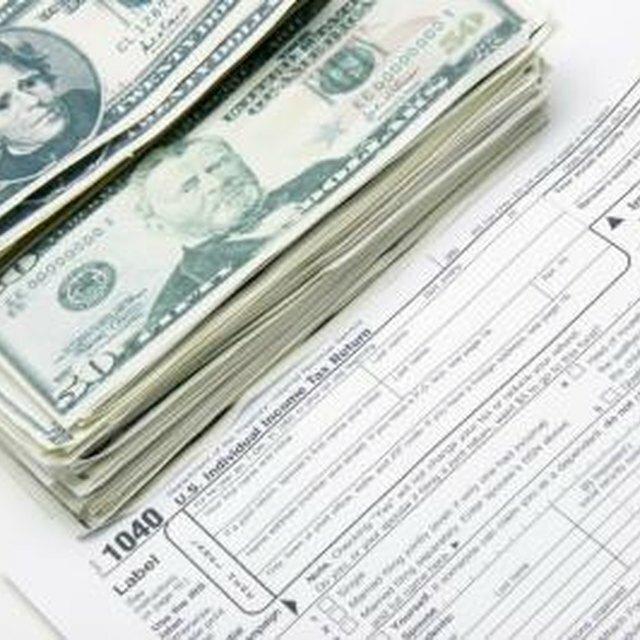 The tax code lets you deduct any "ordinary and necessary" expense from your rent collections to find your taxable rental income. In addition to everything you spend directly on the property, you can also claim a depreciation expense. Depreciation is a way for your taxes to reflect the gradual deterioration of your residential rental buildings. To calculate it, you divide the cost of the building, but not the land, by 27.5, which is the number of years over which you depreciate a residential rental property. The IRS lets you claim that amount every year as depreciation expense, even though you didn't spend any money out of pocket to correspond to it. At the end of the year, if you have earned a profit from your residential rental activities, you can enter it on line 17 of your 1040 tax return and pay regular income tax on it. If you have a loss, you might also be able to use it to offset other income that you earn. Taxpayers who fall into the IRS' narrow class of "real estate professionals" can use their rental property losses to offset their other real estate income. Everyone with up to $100,000 in adjusted gross income, or AGI, can claim up to $25,000 of rental property losses against other income, although the deduction phases out at a rate of $1 for every $2 of income above the $100,000 AGI threshold. If your income is too high to claim your write-off, you can carry the write-off forward to the future for years when you have rental property profits to offset or a lower income. When you sell your property, you can be subject to two different taxes. Your profit on the sale is subject to capital gains taxes which, as long as you held the property for at least a year, is either 15 or 20 percent, depending on your overall income. In addition, if you sold for more than your depreciated value, you'll also have to pay a 25 percent Section 1250 recapture tax on the difference between your depreciated value and your original cost basis. For example, if you bought a property for $150,000, sold it for $200,000 and claimed $40,000 in depreciation while you owned it, you'd pay capital gains taxes on the $50,000 profit and recapture tax on the $40,000 in accumulated depreciation. These tax rates are current as of the 2013 tax year. The IRS will allow you to avoid paying these taxes, though, if you use the proceeds of the sale to buy another replacement rental property and follow their rules. By structuring the transaction as a 1031 tax-deferred exchange, you carry your basis forward, so your new property will be taxed as if you had bought it at the old property's price, but you don't pay the taxes. Since you can exchange into other exchanges, it's theoretically possible to never pay the capital gains and recapture taxes.